← Get your Picture with Shogun Santa in Little Tokyo! It’s that time of the year again – time to think about all the albums we fell in love with, raved about to our friends, and played over and over again in 2018. Here’s my list, and then a summary of my favorite album of 2018: Gitane Demone Quartet “Substrata Strip”. Words can’t describe how stunning this album is. I was walking around DTLA on a warm summer evening the first time I listened to Substrata Strip (I’d gotten my paws on an advanced copy). When “Bells For Barb” started playing, and Demone’s mesmerizing, commanding voice started soaring through my earbuds, I felt a chill down the back of my neck, and I just FROZE in the middle of the 2nd Street Tunnel (yes, I actually stopped walking). I haven’t been able to stop playing Substrata Strip since that night. I’ve become obsessed with it. It’s an intense, exuberant experience from start to finish. It’s the kind of album that leaves you feeling like you just ran a few miles after the final song ends. 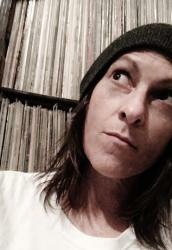 Click on the Bandcamp link below, give it a listen, and you’ll see what I’m talking about. Then do yourself a favor – purchase a download on Bandcamp, or purchase a cd on Amazon, and fall in love with it just like I did. Substrata Strip is MAGIC. 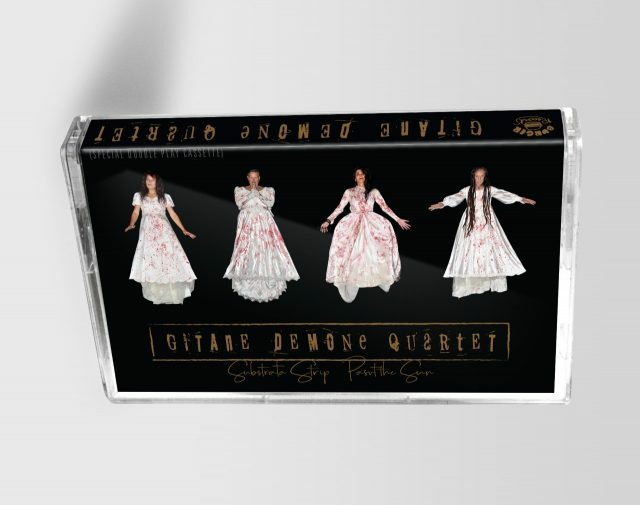 Gitane Demone Quartet features L.A. punk veterans Gitane Demone (Christian Death, The Crystelles), Rikk Agnew (Adolescents, Radolescents, Christian Death, D.I. ), Paul Roessler (The Screamers, 45 Grave) and Deb Venom (A Bleeding Sky). This entry was posted in Music and tagged album review, best albums of the year, Christian Death, darkwave, GDQ, Gitane Demone, Gitane Demone Quartet, punk, Rikk Agnew. Bookmark the permalink. I couldn’t agree more with your number one choice, “Substrata Strip” by the Gitane Demone Quartet. It literally took my breath away the first time I heard it. I love going to see them live and already knew the songs, but the mix on the album is incredibly nuanced. I heard sounds that I knew were there, but that had never been so well-placed. It is obviously intended to be played from beginning to end each time you listen. It is music for musicians. Excellent review, Deb Frazin. You have excellent taste in music Mr. Evans! Thanks for your comment!